You’ve probably heard before that one of the best ways to get good at something is to start while you’re young, and we think that the same holds true for gardening. What’s even better about this activity is that kids love to get messy, so if gardening is a hobby that you want them to take up, they’re bound to love planting and digging in their early years! Sunflowers are a great choice for first time gardeners because the seeds are pretty large and thus, easier to manage. And since they’ll really do well in just about any sunny garden, maintenance isn’t too complex either! 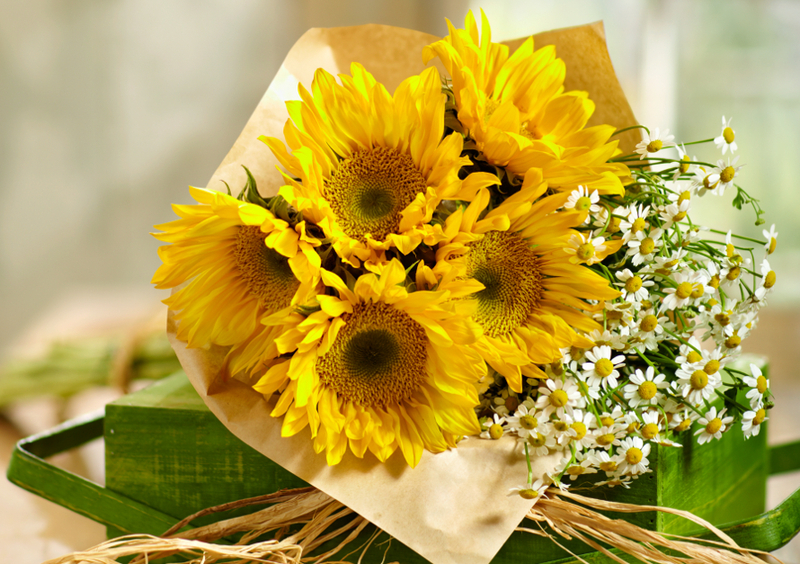 Sunflowers are also ideal if you’re looking for flowers to give to children in a vase, again since they’re easy to care for: you’ll only need to re-cut the stems and change the water after 3 days and keep them in a sunny spot. Impatiens are another flower that don’t require much attention in order to thrive – ultimately, they really just need enough water to quench their thirst and a nice shady spot. These are a fun one to plant with children during the warmer months, and depending on where you get them, planting could be as simple as digging a quick hole and sticking the roots in. There’s nothing quite like a rose bush in full bloom! If your yard has the space, this is a great one to grow with children, especially because the result is not like any other (just be sure to warn kids about thorns as the bush grows). In terms of care, water is huge for roses whether they’re in the ground or in a vase that you give to children for a gift – they like rich and loose soil when in the ground, and when in a vase, they may need some extra water every day if the level gets too low. We love tulips, especially because of their beautiful colors, and we bet their bright shades will catch your childrens’ eyes too! One of our favorite fun facts about these flowers is that they are the only kind of flower that will keep growing even after they’ve been cut – pretty amazing, right? Should you be looking for a flower to give your child to care for rather than to plant, maintenance is also pretty basic – the flowers will just need to be kept in a spot that does not receive direct sunlight or any drafts, and the water will just need to be changed about every 2-3 days (you can help them out with this one by cutting the stems during water changes!). It’s typically recommended that you plant daffodils in the fall, so if you’re looking for a fun family activity as we speak, head out to your garden with some daffodil bulbs! While results may not be instant (they’ll bloom in spring), we’re confident that both you and your children will be amazed at the sight when they start to grow. As for location, seek an area of your garden that’s either totally sunny or partly sunny. 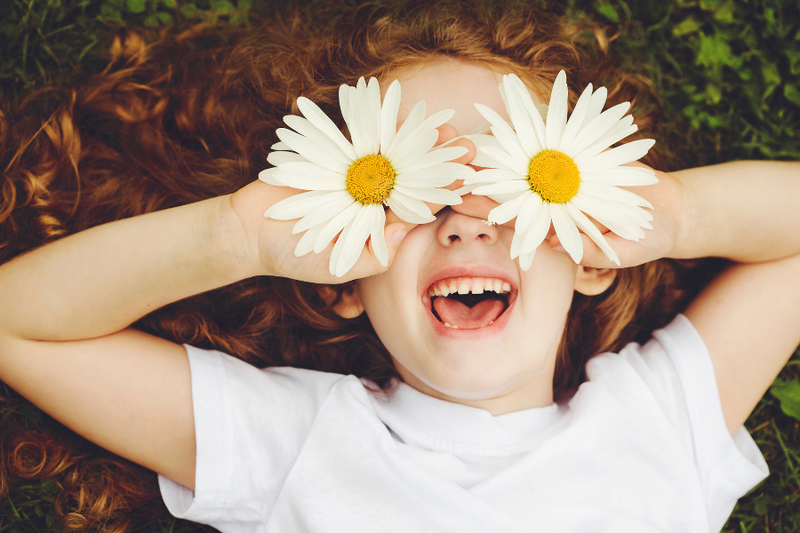 Daisies, and especially gerbera daisies, are another flower that we think are perfect for parents and children to plant and care for together. While seeds for gerbera daisies will require daily watering, they don’t have to be watered too much, so they’re great for teaching children about how to be careful and precise with watering. As they start to grow someone will need to remove the dead blooms (this is where you can help out), but it’s a great learning opportunity for your children as they watch. Carnations are a classic, and they’re one that we love to see in floral arrangements. Something that we find so appealing about carnations is that they’re easy to work with not just for planting, but also for making unique arrangements such as our floral cupcakes! Our team even had the pleasure of making these with some children this past summer, and the results were awesome (the kids sure loved them too!). 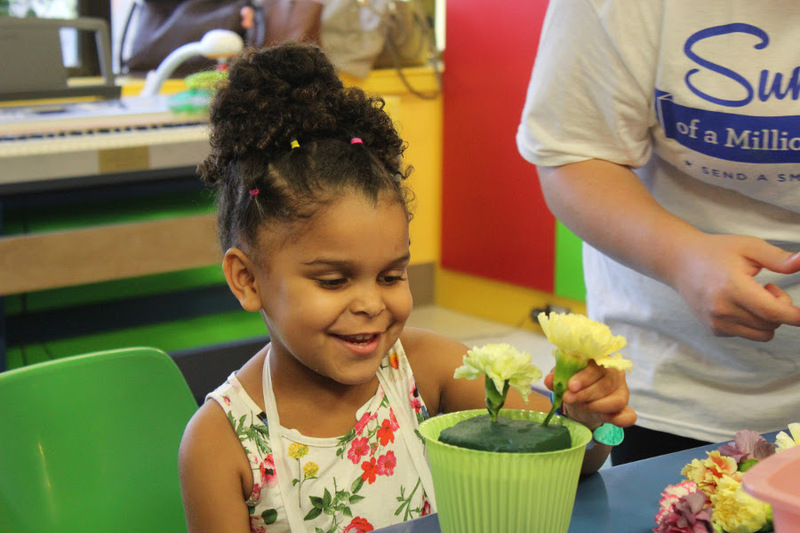 Now, while gardening is a great way to expose children to different flowers and teach them the responsibility of caring for flowers, sending flowers as gifts to children is another opportunity you have to introduce them to the world of flowers and plants. And we’re not just talking about any flowers – when it comes to kids, we’re talking floral arrangements such as the ones found in our a-DOG-able collection, a floral cupcake, or a birthday flower cake depending on the occasion! Be honest, when you were a kid, wouldn’t you have loved to receive a unique gift like one of these? If you want to stick to tradition, though, we know that kids would love to receive a bouquet of beautiful roses (remember, they come in more than one color! 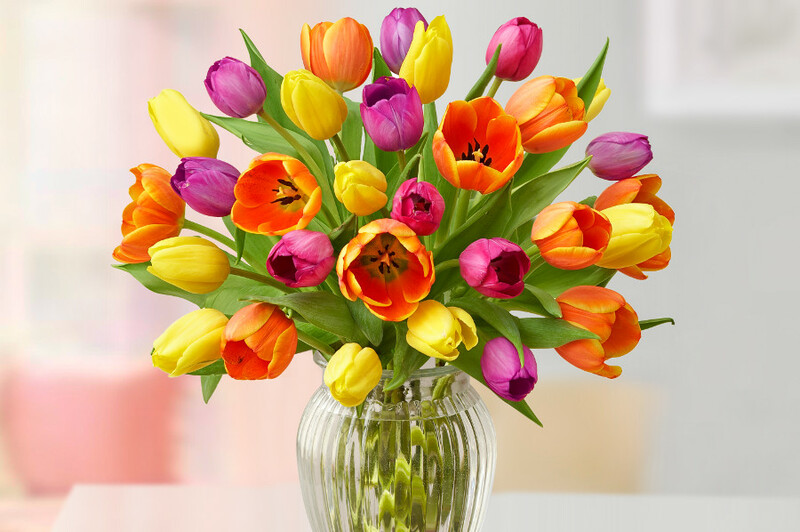 ), daisies, daffodils, tulips and the like – their stunning colors will definitely catch a child’s eye!